Weaver Vale Housing Trust is delighted to announce that Wayne Gales has been successfully recruited as their new Chief Executive. Have you read our Value for Money statement yet? Read Have you read our Value for Money statement yet? 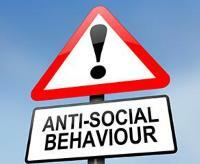 Weaver Vale Housing Trust has received reports of fire-setting and anti-social behaviour in the Crook Lane area of Wharton.